"Impartial Justice" is Law - Disclosure and Regulation of Phony Issue Ads on DeckTweet this! Congratulations! Impartial Justice would not have passed without all your hard work. 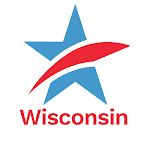 Thank you for continuing to fight for the citizens of Wisconsin!